Produced by the city’s best magazine editors and writers, Chicago magazine offers an award-winning combination of smart service journalism and provocative narrative stories, knit together with a colorful and elegant design. Joined by its online version, Chicagomag.com, Chicago helps readers get the most out of the city and nearby suburbs, capturing the lifestyle and spirit of the area. 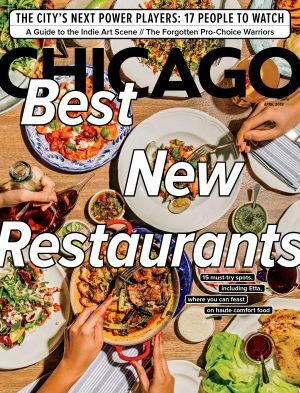 The magazine is the authoritative voice on top dining in the region and each month our unparalleled critics provide intel to curious diners on the best places to eat and drink in Chicago. With dramatic stories and regular coverage of health care, fashion, travel, entertainment, home design, and other consumer-related subjects, Chicago is the premier resource for residents and visitors alike.